N.B. for late arrivals after 7:30pm there may be an extra charge of 50 Euros applied. After 10:00pm it will be not possible to arrange check in. - any delays or variations must be communicated at least 48 hours before arrival. No refund will be given if the guest is unable to take up residence in the property on the expected day or at the scheduled time owing to travel problems. The same rule applies to early departure. · 30% of the total amount within 3 days of receipt of contract indicating confirmation of option. · If your stay begins within 60 days of your scheduled arrival, the total balance is due within 3 days of receipt of contract indicating confirmation of option. 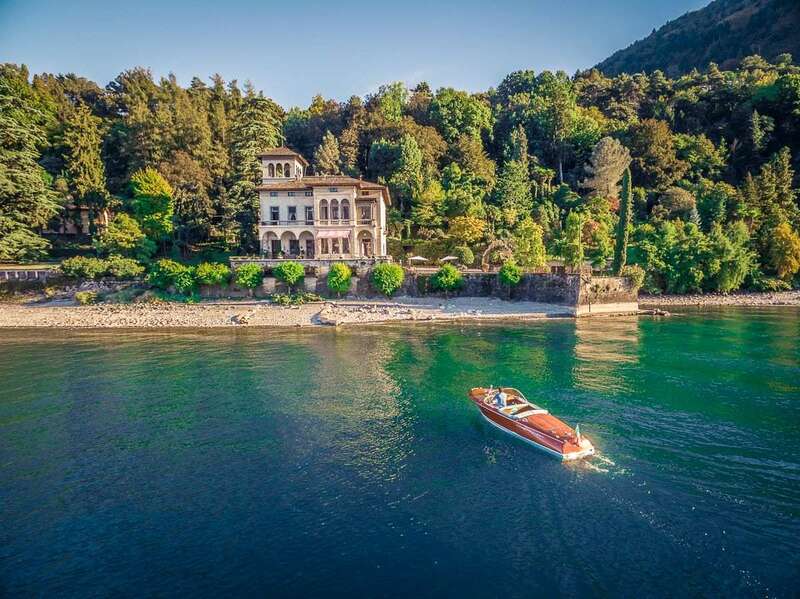 · Please note that wire transfer payments to Italian Style Villas/Exclusive SAS may incur additional surcharges applied for an international transfer in addition to making a transfer in EURO – contact your bank for terms and conditions relative to your account. In order to concur with the above conditions any cancellation requests/declarations must be received in writing via post or fax. We strongly encourage you to purchase travel insurance at the time of initial payment to protect yourself in the event you must cancel and forfeit funds for unavoidable events according to the terms of your insurance policy. In the event of unforeseen circumstances (i.e. catastrophic event(s) - force majeure), we reserve the right to void this contract, and refund the full amount paid. Upon receipt of the sum agreed upon and outlined above, we will forward the guest all details pertinent to reaching the property, meet and greet and on site contact name and contact details. Although prepared with the utmost care, the descriptions and photographs of the properties are indicative, and actual properties may be subject to change. We highly recommend travel insurance to both protect your investment prior to your arrival as well as to assist in the event of medical emergency, lost baggage, cancelled trip or any other trip-related issue. For your convenience, we have created a custom travel insurance package available through Travel Guard. Please contact us for more details. Or just click on this link to do on-line comparison quote. The entire property must be delivered and left clean and in order. Crockery and other equipment in the house (such as furniture and fixtures - including but not exclusive to chairs, blankets, etc.) must not be used or transported out of the property confines. Candles and oil burners are not permitted inside the house and must be used with great care on paved terraces. After delivery, repairs of breakdowns caused by the Clients and those of ordinary maintenance (resolution of plumbing issues (ie clogged toilets or sinks due to misuse), damages to furniture/fixtures/equipment and to the property itself, stains on mattresses and bed covers, broken crockery) will be charged to the Clients and the amounts will be deducted directly from the security deposit. In situations where additional time is required to assess total damages and cause for said damages, the custodian of the property will retain the entire security deposit and will return any remaining balance together with receipts detailing the expenditures for repairs carried out following the departure of the Client. 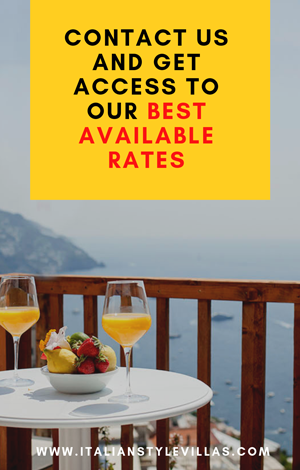 UTILITIES AND OTHER EXTRAS All extra services specified above and/or on Final Voucher are either payable in advance to Exclusive SAS or due in Euro upon arrival/departure or during your stay as stipulated. All said extras due in advance to Exclusive SAS will be itemized on your Confirmation Voucher. Any additional extras due in local currency will be itemized on your Balance Invoice prior to your departure upon request. Some properties require an Extras Deposit for such purposes as having funds available to the house staff on or before arrival for advance shopping, arrival dinner, defraying the costs of utilities and the like. In the event of an Extra Deposit our staff will inform you of the amount upon arrival. The Extras Deposit, if applicable, is to be paid with the balance payment on the property rental or in Euro on arrival at the property . Extras Deposit funds will be accounted for in full by the end of the stay. Remaining Extras Deposit funds will be returned to you by Exclusive SAS in Euro simultaneously with the return of your remaining Security Deposit. All properties are checked regularly by Exclusive SAS representatives to ensure that they meet the required standards and that they are accurately reflected in descriptions and promotional material. Whilst the company will do all that is reasonably possible to ensure that properties comply with descriptions or to rectify any problems which arise as a result of changes to properties and/or chattels, it cannot accept responsibility for last minute changes or variations outside of its control. Complaints should be filed within 24 hours of any occurrence (of the cause of the complaints arising) to the area representative or directly to Exclusive SAS in writing, who will endeavor to resolve the problem(s), or find an alternative solution. Complaints giving rise to claims for compensation must be directed to our office in writing within 24 hours of the end of the rental period. Claims arising outside of this period will be rendered invalid. In addition, should the client leave the property for whatever reason prior to contracted period without notifying Exclusive SAS in writing beforehand, any claims for compensation are rendered null and void. 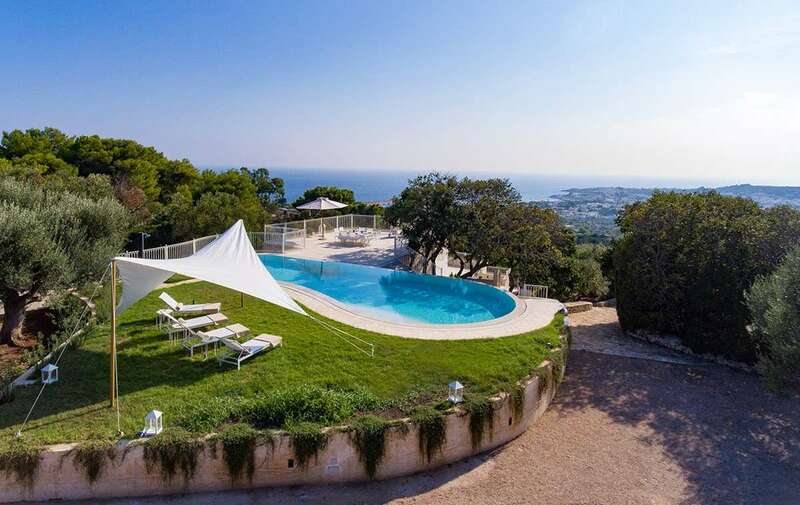 It is important that clients understand and acknowledge that many of the villas have a historical value, and are furnished with antiques and period furniture which are different from today's modern furnishings and appliances. In addition, many of the properties have inherent dangers such as swimming pools, dry stone walls, un-gated access to roads, staircases, unfenced drops etc. 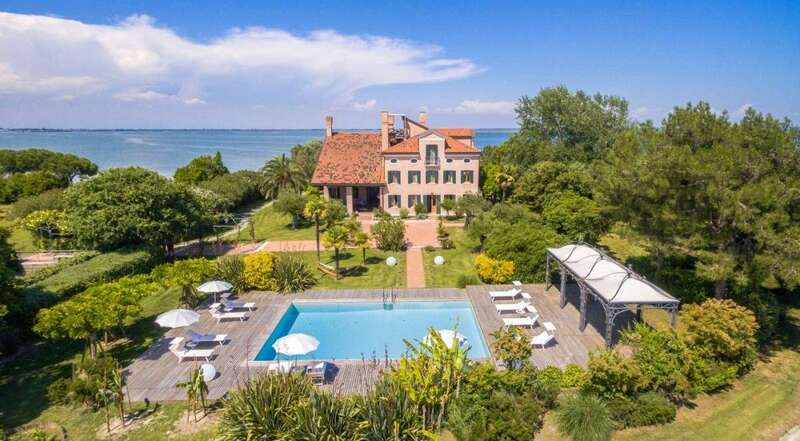 These properties offer the opportunity to the client to live for a short time in a different world where tradition and history form a part of the local life and culture. Neither Exclusive SAS nor the property Owners can accept any liability for accidents occurring. The Client must accept full responsibility and take all necessary safety precautions. Equally, no claims of any sort will be entertained in the event of incidents or accidents occur whilst occupants or guests are under the influence of alcohol or any non-therapeutic drug. We decline responsibility for any modifications made by the owners without our knowledge. We also do not accept responsibility for the breakdown of the supply of utilities or other essential services though we will, through our local agents, use our best efforts to arrange for these problems to be solved. Such an inconvenience does not entitle you to a refund, but if you must be moved to a hotel for the duration of repairs, that cost will be borne by Exclusive SAS and/or the property Owners. If you have any problem during your stay, please phone the Exclusive SAS representative listed on your travel voucher. Exclusive SAS must be notified within 24 hours of the occurrence giving rise to the claim and must then be notified in writing (Fax: +39.081.6200955) before you vacate the premises. Complaints lodged at the end of the rental period will not be taken into consideration. Should you abandon the property without authorization from owner or local Exclusive SAS representative you will lose all rights to compensation. The client, signing the Booking Form, is responsible for the correct and decent behavior of his/her entire party in residence. Should the person and his/her party behave in such a manner that is not acceptable by civilized standards, the property Owner or Exclusive SAS representative may ask the person and his/her party to vacate the house without compensation. The property Owner or Exclusive SAS representatives reserve the right to inspect the property at any time during the rental period in order to continue to preserve the cleanness and order of the Villa. Only those persons listed on the Booking Form may use the property. The number of people must not exceed the number of sleeping places indicated in the property listing. Infants in portable cribs can sometimes be accommodated over and above the number of persons permitted but this must be explicitly agreed to in advance before balance payment is due. Clients are responsible for providing portable cribs. Should a representative of the Owner or of Exclusive SAS find any violations to this clause, it is totally up to her/his discretion to ask the client to vacate the house without compensation. Photocopies of passports for all guests must be provided in advance to comply with local Italian law. Italian Style Villas by Exclusive SAS will not be liable for any claims, actions, injuries, damages, loss, delays, or expenses arising out of or resulting from any of the following: any act or omission of any third-party contractor supplying services on your trip, including but not limited to transportation, hotel, food, or sightseeing services; strikes; the failure of aircraft, watercraft, or any other means of transportation to arrive or depart as scheduled. This contract is governed by the laws of the Italian Courts, which have exclusive jurisdiction over any claims, disputes or other matters in question between the parties. In the event of litigation. In the case of any controversy which may arise, the competent authority shall be the Court of Naples - Italy. Thank you again for choosing Italian Style Villas by Exclusive SAS! via Salvatore Ferrara, n.14 – 80124 Napoli – Italy – P.IVA 05677881210.